In my experience of training language teachers, mostly on CELTA courses, I have noticed that good preparation goes a long way. Analysing language for teaching purposes is a huge part of that preparation. Candidates following teacher training courses find language analysis demanding and tiresome though we believe it is essential to bear in mind that it is a crucial part of lesson planning for several reasons. Some even think it is enough to look at the grammar as it is presented in the student’s coursebook. Others, rest on the laurels of their presumed expertise, or even think that being a native speaker means this knowledge is part of their knowledge already. It is one thing to use a language and a completely different process to be able to analyse and describe it for the purpose of teaching it to others. Why should we analyse language before lessons? Language development: it is a good point to remember that analysing language for individual lessons can be a good ‘excuse’ for teachers to enrich their own knowledge of the systems of the language and therefore become more proficient by studying descriptive/pedagogic grammars to find the information they need. In fact, this seems to be an ideal way of building on their knowledge over a period of time, as it is a given that we are not born with explicit knowledge of a set of grammatical rules.Language knowledge at a high level of expertise is an obligation for a professional teacher. You wouldn’t respect a maths teacher who doesn’t know maths, would you? Effectiveness of the clarification stage: we all want the presentation stage of our lesson to be as succinct and effective as possible; we want to use simple language to explain or elicit, to incorporate helpful techniques such as timelines, colourful and appropriate patterns to indicate significant phonological features on the board, appropriate and natural examples of the target language, and suitable questions to check the learners’ understanding. Can you imagine how demanding and stressful it would be to improvise and come up with all of those things on the spot while trying to take care of everything else at the same time during the lesson? Being confident: I am sure we have all found ourselves in the awkward position during a grammar lesson when a learner asks a difficult question regarding let’s say the tense we have just presented but we are not able to give a clear and simple answer. Consequently, the learner gets confused or even frustrated – a thing that we want to avoid at all costs in the classroom. Well, a thorough preparation can greatly help in similar cases as it will prompt us to think of potential problems the learners might have because of let’s say the difference between their mother tongue and the L2 structure. In this way, we will be much better prepared for learner questions, and this is definitely a thing that all learners, especially adults, greatly appreciate.Remember, learners are not out to get you but they will get you if your knowledge is shaky. Feedback and correction: an essential part of any lesson; we will be much better able to, first of all, identify learner errors revolving around the language presented and give clear and useful feedback, perhaps using the information we have already put on the WB, i.e. the timeline indicating meaning, sentence stress patterns highlighting phonology, etc. Learners expect to be corrected and to know why they have been corrected. Covering all aspects of the target language: by preparing a detailed language analysis, we are less likely to forget to focus on meaning, form, function, formality, syntax, pronunciation, and ways to check understanding; this is how we can make sure we have done our best to help the learners understand all aspects of the target language. How can we prepare an effective language analysis? Obviously, grammars for the classroom are not going to be enough, even if you filter down only a fraction of what you learn in grammars for teachers. grammars for teachers, i.e. a grammar consisting of sets of rules for teaching/learning purposes. For example, Martin Parrott’s “Grammar for English Language Teachers”. descriptive grammars, i.e. a grammar describing how the language is actually used by its speakers; an example of a descriptive grammar is Douglas Biber’s, “Longman Grammar of Spoken and Written English”. After we have studied and found the appropriate information, we need to think of how we are going to cover all of the aspects of the language we will be focusing on in our lesson. An effective way of achieving this is to prepare grids or tables. Here is an example of one such table. choose the appropriate rules for the level of the learners, e. if we’re teaching the present progressive tense, we need to choose the specific use and not include all of the rules at the same time. This would be entirely unrealistic as a lesson aim, let alone confusing and discouraging for the learners. simplify the language, e. avoid unnecessary terminology which the learners might not be familiar with, use simple lexis and structures to form the rule or the questions to elicit the rule, etc. choose appropriate techniques to highlight meaning/use, form, and phonology in the class. think of practical ways of putting this information on the board/smart-board, e. how many target language examples we should write down on the WB, what different colours to use, where exactly on the board we should write it so that we do not erase it later on, etc. choose suitable ways of checking the learners’ understanding of meaning and form, e. what specific questions to ask to make sure the learners have understood the language rather than simply ask “Do you understand?”, etc. Let us look at how a popular and best known pre-service teacher training programme, such as the CELTA, includes language analsysis in their assessment criteria. “… in detail for any language focused on”: it prompts us to analyse language not just for grammar or vocabulary lessons, but skills-focused lessons as well; for example, when we are planning to pre-teach vocabulary in a receptive skills lessons, or focus on a set of functional exponents in a speaking lesson prior to the speaking task, etc. “… how the form will be clarified on the board”: this is a reminder of the fact that we should prepare an LA for teaching purposes and not for academic purposes as if we were teaching grammarians-to-be. “… how the concept will be 1) established and 2) checked”: it prompts us to think of specific techniques to convey the meaning to check that the learners have understood it. Therefore, we should perhaps use simple language as well as contextualised and natural examples of language. “… significant aspects of pronunciation…”: it finally reminds us to focus on the important and relevant aspects of pronunciation and, therefore, how we would present it in the class. For example, if we are focusing on the verb form ‘used to’, we ought to highlight issues of elision between the sounds /d/ and /t/ and the weak form of the preposition ‘to’. Taking all these points into account, let us now look at a sample LA and evaluate it. Imagine you are teaching the present progressive to talk about future arrangements to a group of pre-intermediate adult learners. Please, have a look at the language analysis below and decide if it meets the CELTA criterion and if it is useful for a teacher prior to the lesson. Then, you can look at the tutor comments by scrolling down to compare your answers. Now, compare your ideas and comments to the ones of the tutor. I hope I have helped highlight the importance and usefulness of analysing language for teaching purposes. Even if it does take a considerable amount of time in the beginning, you will eventually get used to it and, in the long term, you will become much more adept at preparing an effective language analysis in a short amount of time. A last thing to remember is that EFL/ESL learners, especially adults, appreciate a knowledgeable and professional teacher as much as a ‘fun’ teacher in the classroom. Remember therefore to combine competence and confidence. 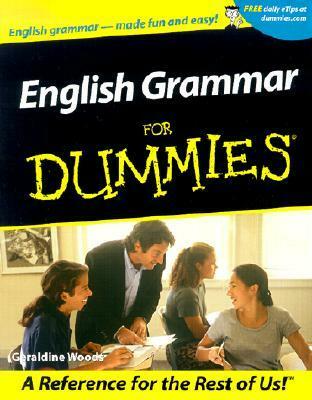 NOT a grammar book for teachers of English! N.B. Our library has copies of all these books. Reblogged this on CELT Athens. I know I’ve been taught the aforementioned a million times, yet while reading and comparing my last LP and the TP itself with the above, everything was clarified, in fact it could have been written for me, personally. Thanking you for all the help, a weak but faithful student. I’m glad it helped, Francesca! Excellent coverage of very challenging points to most teachers I know at least. Thanks Alex. Thank you, Ashraf! Glad you liked it! Yes. It is very useful. I hope to meet you and Marisa to do my DELTA with you both. It’s a very useful article in fact, The real challenge for teachers in this regard, I guess, is when they plan a skill-based lesson. I would have more appreciated it if it had included some guidance on how to analyse a target skill or sub-skill to be taught in a lesson.